They allow schools to sell workbooks because they want their children to score As, says UCSI’s Tajuddin Rasdi. PETALING JAYA: A university professor has blamed parents for the large number of workbooks children have to buy from their schools. Tajuddin Rasdi, who teaches at UCSI, said many parents wrongly believed that children needed those books in order to do well in their studies. His comment follows a news report about parents alleging that some school heads were in cahoots with publishers in pushing workbooks to pupils and thereby burdening them with heavy school bags. The report quoted parents as saying through social media that schools were taking commissions from the sale of the books. Tajuddin told FMT he believed parents had not protested against schools for making their children buy more books “than they actually need”. He said this was why schools had continued selling them. 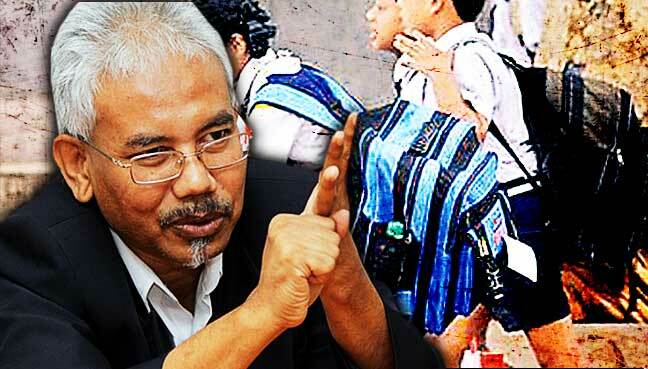 Tajuddin said the notion that children needed many books to get good grades was false. He said he was not against the idea of buying more books. “It is not wrong to use these supplementary books. I’m only establishing the fact that you don’t have to make it compulsory.